London South Bank University’s (LSBU) School of Health and Social Care has been praised by the Nursing and Midwifery Council (NMC) for the quality of its courses, gaining the highest rating available from the national regulator for the third year in a row. 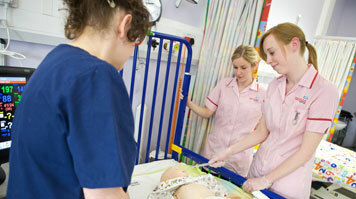 The NMC sets the standard for the education and training for nurses and midwives in the UK. It undertakes an annual audit of pre-registration programmes to ensure that education providers are meeting the NMC’s standards. In 2015/16 LSBU was awarded a ‘purple’ rating, the highest of four grades that determine the quality of healthcare courses provider by approved Higher Education institutions. LSBU has been scored consistently highly by the NMC, maintaining a purple level rating for quality for three consecutive years, building the outstanding reputation of LSBU’s Nursing and Midwifery courses. Find out more about studying in LSBU’s School of Health and Social Care.